With chicken, beef, and pork, this hearty stew with Cajun spices will warm anyone on a cool Mardi Gras night, for those of us who don’t live in sultry New Orleans. It takes a while to build the traditional, flavorful roux, and to cook the “turtle” meat to tender morsels, but the finished product is most definitely worth the wait. Double the recipe to make all that hard work stretch in the form of leftovers. This is one of those dishes that develops overnight, so don’t be afraid to cook up extra portions for freezing or holding for a second meal. Heat 1/2 c. oil in a large stock pot over medium to high heat. 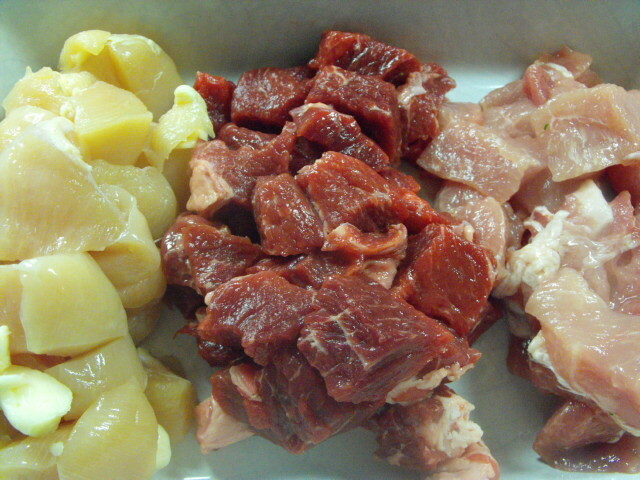 Add meat cubes and cook until browned, 10 to 15 minutes. Remove meat and set aside. 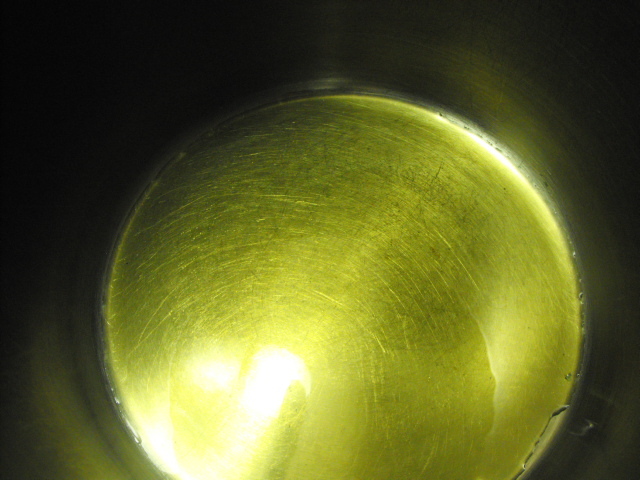 Add the remaining oil to pot, scraping bottom to release browned bits. 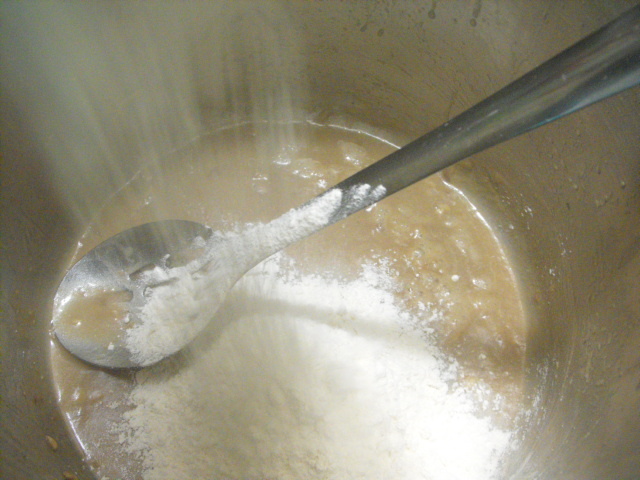 Stir in flour and mix very well to make a thick roux. Stir constantly until roux is dark tan or brown but be careful not to let it scorch. 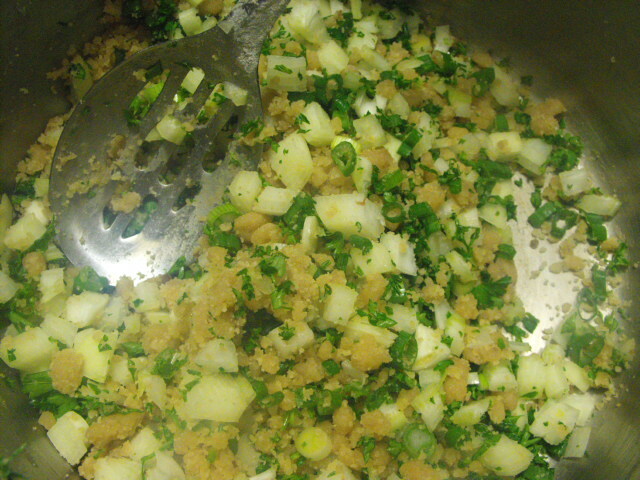 Add garlic, onions, green onions, and celery. 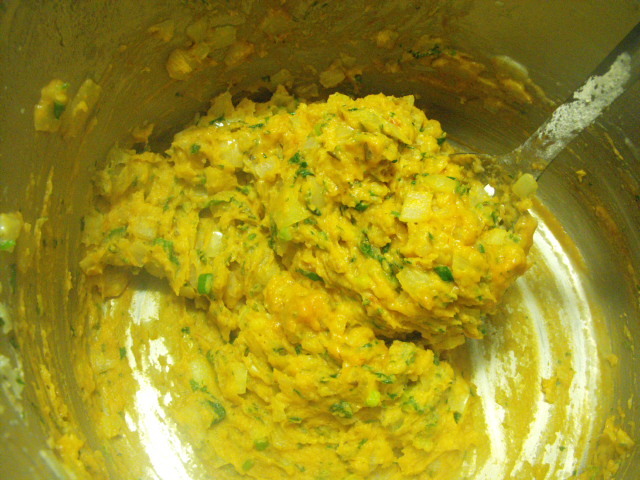 Cook in roux while stirring constantly until they are tender and translucent. Add one cup of stock, mixing well to keep lumps from forming. Add tomato paste, parsley, cocoa, and basil. Mix in well. Add remaining stock one cup at a time, stirring well. Return meat to pot and season lightly with salt. Add pepper and half of the hot sauce. 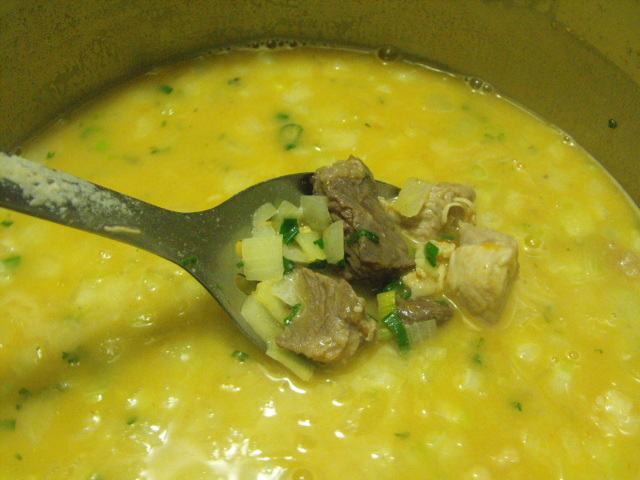 Add the remaining salt and hot sauce at the end to adjust finished soup flavor. 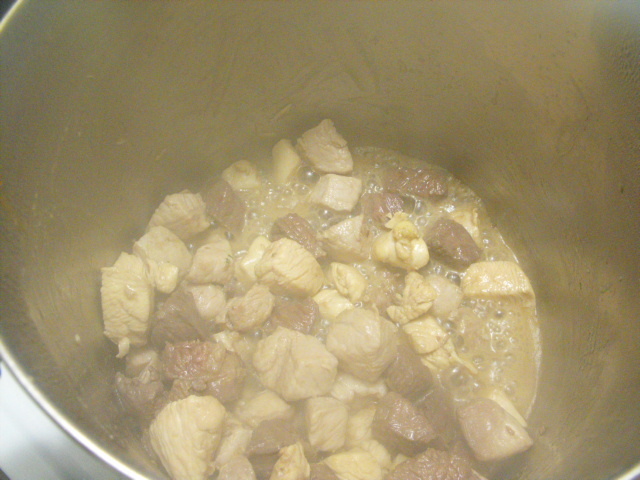 Cook slowly for three hours over low to medium heat, stirring frequently, until soup is thickened and meat is very tender. 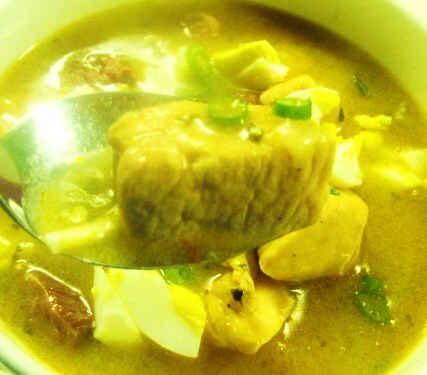 Serve with a squeeze of lemon juice, and egg and green onion garnish.